Rents are steadily climbing; still, many Americans aren’t quite ready to buy a home. More than a third of non-homeowning consumers say the main reason they don’t own is that they just don’t want to be homeowners yet. That’s according to a survey commissioned by Bankrate.com. Nearly half of respondents say they’re not homeowners right now because they either can’t afford a down payment (29%) or they believe their credit isn’t good enough to qualify for a mortgage (16%). “A lot of people make assumptions that they can’t afford to buy based on just some perceptions, and many have not taken the step to figure out how mortgage-ready they are,” says Marietta Rodriguez, vice president of national homeownership programs at NeighborWorks America in Washington, D.C.
Hispanics were the ethnic group most likely to report that their credit is holding them back from homeownership, while the most-cited reason among blacks and whites was they just don’t want to own a home yet. The findings also indicate that as respondents’ education level increases, they are less likely to report that the reason they don’t own is due to credit problems. Among all ages, 35% of non-homeowners don’t want a house yet. That’s the reason given by 44% of millennials (ages 18-29), 28% of non-owners ages 30 to 49, 29% of those ages 50 to 64, and 30% of those 65 and older. The share of non-homeowners who have counted themselves out of homeownership for the time being is somewhat expected, considering the lasting effects of the housing meltdown, says Pava Leyrer, chief operating officer for Northern Mortgage Services in Grandville, Michigan. The survey also asked non-homeowners what percentage of the total cost they would contribute as a down payment on a hypothetical home purchase. Nearly 2 in 10 said somewhere between 11% and 20% down, and another 17% of respondents would put down 6%-10%. The most popular response, however, was “don’t know” — almost a quarter of non-owners report they don’t have a clue how much they would put down to buy a home. Although it appears to be a substantial percentage of people, Rob Chrane, president and CEO at Atlanta-based Down Payment Resource, says it’s consistent with what his company has encountered. Only 9% of non-homeowners said they would put down 1% to 5% of the purchase price as a down payment, which speaks to the overall dearth of knowledge about down payment requirements, Chrane says. 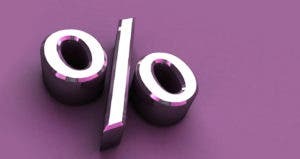 It’s possible to get an FHA loan with just 3.5% down, or a conventional loan with 3% down. Ready for a mortgage with a low down payment? Search now for an FHA loan. Additionally, the survey underscores the fact that many aren’t aware that down payment assistance is available, which could be keeping them on the sidelines. The solution to misinformation about the homebuying process is to reach out to a nonprofit housing counseling agency, Rodriguez says. And, even if you’re not ready to buy, it helps to find out where you stand financially, advises Leyrer. “As you plan your financial life moving forward in the future, you can plug that in and say, ‘I have a good idea of where I’m at (and) what I need to do,'” she says. Bankrate’s February Money Pulse survey was conducted by Princeton Survey Research Associates International and included responses from a nationally representative sample of 2,002 adults living in the continental U.S. The margin of error is plus or minus 2.6 percentage points. When you find the right house, shop for a mortgage on Bankrate.com.